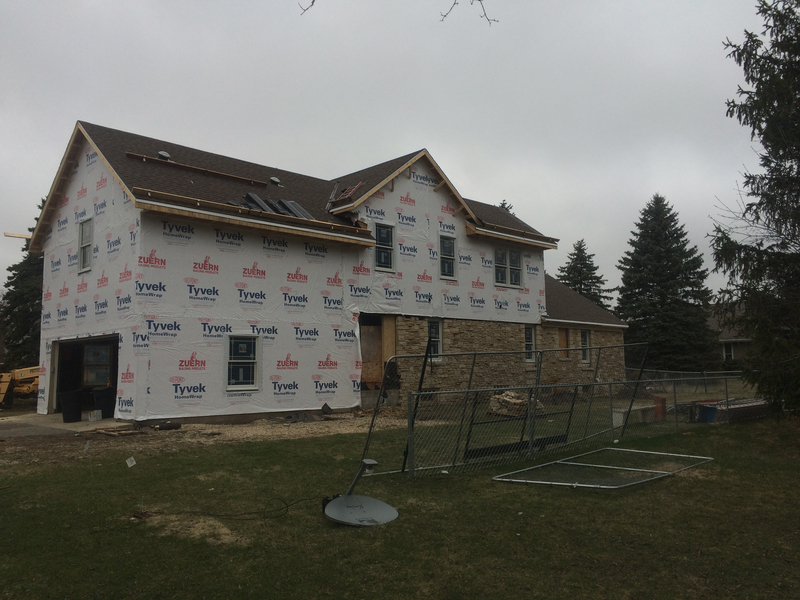 Wisconsin new home construction is both exciting and scary at the same time. However, it doesn’t need to be. The top new home construction company is High Quality Contracting, Inc.
We are licensed and insured with decades of experience behind us., so you are guaranteed the best possible experience from planning to construction. Our team of experts will work diligently to provide the best possible experience. From initial building plans to breaking ground. We build homes to last with only the best quality products. Here are a few examples of recent projects from High Quality Contracting Inc.
You will find everything from a standard home builds to a more elaborate build constructed deep in the country. Many of our customers return over and over again and recommend their friends. We go over and above to make sure this is the best possible experience. Our team of craftsmen possesses creative and innovative ideas to help build the best possible home, garage, addition, or office space possible. If you are looking to build for the first time or the last, we are the team for you. Give us a call today at High Quality Contracting, Inc to schedule a consultation. Hear what great ideas we have to help you along the way. 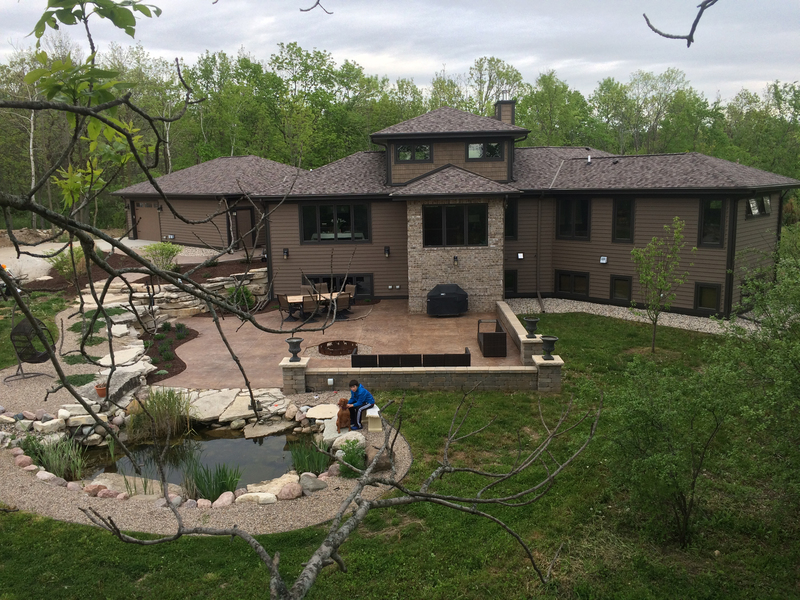 Wisconsin new home construction by High Quality Contracting Inc. Craftsmanship you can trust. Contact us today for your free quote and talk with a master craftsman. Declutter your kitchen with a charging station. A remodeled kitchen can be one of the best projects for your home and give you the highest in ROI. 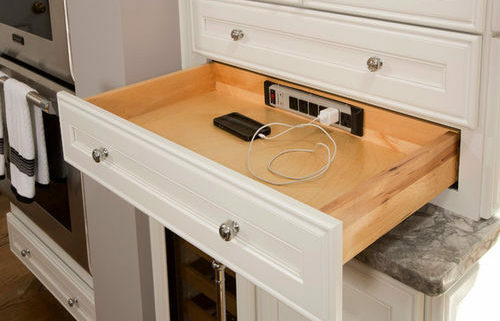 With Smartphones, computers, and tablets all being a large part of any homeowners’ daily routine, it would make sense to add a charging station to the hub of your home, the kitchen. Today’s modern cabinetry allows for contractors such as High Quality Contracting to add a level of convenience to your kitchen that we were not able to do in the past. Along with that, new outlets constructed to effectively power a USB are also available. Depending on the configuration of your cabinets, you may have a space for a small tip-out drawer when a full depth drawer is not an option. This is often the case in front of a sink or built-in range. The are is usually small and can be used easily for this option, reducing the amount of space wasted. Declutter your kitchen by adding USB charging ports to your outlets than buy USB power adapters. The best option is to install them directly into the outlets in the kitchen. You will need to be aware of safety codes regarding outlets, however, there are many great options for USB Wall Outlets now that are functional, good looking and meet industry standards. Placing a charging station inside a full depth drawer works well. Most devices that need to be charged (tablets, phones, laptops) are typically flat. Laying them inside a drawer means you don’t have to worry about them falling or getting anything spilled on them. This is ideal to keep things out of sight as well as safe. Charging holders combined with the under-cabinet outlets are semi-revolutionary and very helpful. You can install a charging holder for your iPad that will hold the iPad while you scan your list of Pinterest recipes. You can easily charge the unit safely at the same time. Like the tip-out drawer, a shallow cabinet can be a great way to use a thin space left at the end of a larger cabinet. A simple cabinet with doors is generally a less expensive solution than drawers. They offers plenty of functionality. Many times there is a small space that can be used for a small cabinet. Inserting the wiring for a charging station there will keep everything up out of the way and allow room where you need it most. These ideas are great for modern families on the go. If you can think of any other great ideas for a home charging station in your kitchen, please be sure to write us a note by contacting us on our Contact Form. Building she-sheds are the latest in construction projects, that are bringing about a buzz among homeowners. The man of the house has longed for the Man Cave for many years. You know the place where you and your buddies go to watch the games, have a few drinks and kick back without the interruption of the family. Men have pretty well mastered the idea turning dens, garages, and basements into the ultimate male hideaways that include billiard areas, bars, recliners, work out areas, and the ever favored Theater Screen TV. 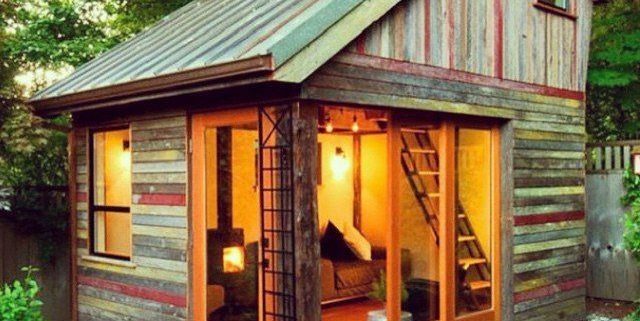 Women across the country have decided it is now time for the men to move over and create a she-shed for their personal retreats. These areas started out as a simple shed turned into a place to read or work on hobbies and have now become objects of great craftsmanship and elegant beauty. This is not an all-inclusive list and is limited only by our imaginations. Just like a man, a woman would like a place to call her own and sit in private now and then. The stress from family, work, and responsibilities can drift away for a few hours each week relaxing in a spot all to herself. High Quality Contracting, Inc can help you design an amazing she-shed with all the bells and whistles attached. Our craftsmen are skilled and have a multitude of great ideas to make even a small space into the best possible getaway for her.